We realize that when you leave your pet in our hands, we are accepting a great responsibility and are caring for a beloved family member. Both you and your pet are anxious about the time spent apart as well as the procedure itself. Effective communication can go a long way toward reducing stress surrounding your pet’s surgery. Our goal is to help you understand exactly what will happen with your pet during their procedure by seeing where they will stay with us and knowing when to expect an update. We’re with you every step of the way, answering any questions you may have and offering reassurance when you need it most. When you make a surgical appointment for your pet, we will give you instructions for preparing your pet for surgery, dropping them off at the clinic, and whether or not they need to stay overnight with us. You will get a digital reminder of the appointment (app notification and email) and we’ll also call and remind you of the surgery appointment and pre-operative instructions the day before the surgery. Surgical and Dental patients are generally dropped off for surgery by 10am to have some time to get accustomed to the sights smells and sounds of our hospital before surgery begins. However, that’s not ideal for all of our patients, so we regularly make accommodations on drop off times and procedures to minimize fear and anxiety. Eye surgeries including Cherry Eye repair, entropion (eyelids which roll in) repair, ectropion (eyelids which sag) repair, and enucleation. Surgical and Dental patients are generally dropped off for surgery by 9am to have some time to get accustomed to the sights smells and sounds of our hospital before surgery begins. That is not ideal for all of our patients, so we regularly make accommodations to minimize fear and anxiety. Please see our Drop-Off’s, Surgeries & Worries page for more details. About 2 days beforehand, we will email you with a link to preparation details for the day of the procedure. It will include information on preparation the night before and timing of drop-off and pick-up.. We will call you the day before as a reminder and to answer any last minute questions. We want you to know what to expect that day and afterwards. If your pet has higher levels of anxiety with us or without you present, we can arrange for special drop-off and pick-up times that minimize the time spent at the hospital. In some cases we can even perform surgical preparation with you present. We are flexible to give your pet the best experience possible under the circumstances. Since we know your pet and regularly evaluate their personality and behavior with us, we will recommend this specialized process for those patients who need it, but feel free to ask if you have concerns. Smell is a critically important sense for our pets. Bringing something that smells familiar can be comforting and help reduce stress for your pet. Bring in their favorite small bed or blanket or a shirt you have worn. They’ll appreciate it and it will make a stressful day a little easier. In some patients we can also use a quick acting anti-anxiety medication to help. It will lower their anxiety enough to bring them from panic to nervousness and can be given safely with anesthesia. We would plan ahead to have you give this pill about 2-3 hours before you leave to come see us. Every little bit of help with anxiety improves your pet’s overall outcome, pain management and experience with the veterinarian. We know you put on a brave face and you trust us, but you still worry throughout the day. When will the procedure start, how long will it take, when will I hear from the doctor? For owners who would appreciate the reassurance, we can now provide a few push notification updates, sometimes with a photo for you throughout the day. You’ll still receive a phone call from the doctor after the procedure with a complete update, a pick-up time range and instructions for recovery. Don’t worry – we know you might not remember all the details the doctor told you in the post procedure call. You’ll go home with detailed written instructions that one of our crew goes over with you before you head home with your pet. Ask questions of the doctor when they call or our crew at discharge so you are clear about what to expect in the next 24 hours. One of our team will also call you the next day to check in and answer any remaining questions or concerns. Our process is tailored to your needs and your pet’s needs, and we hope to minimize any stress and anxiety in your pets (and your too). We realize that reducing your anxiety also lowers your pet’s stress, since they respond to how you are feeling. Pain management is improved and recovery is shortened when your pet is less stressed. It is a critical but often neglected aspect of medicine that we feel strongly is a big part of our success in the short and long term. 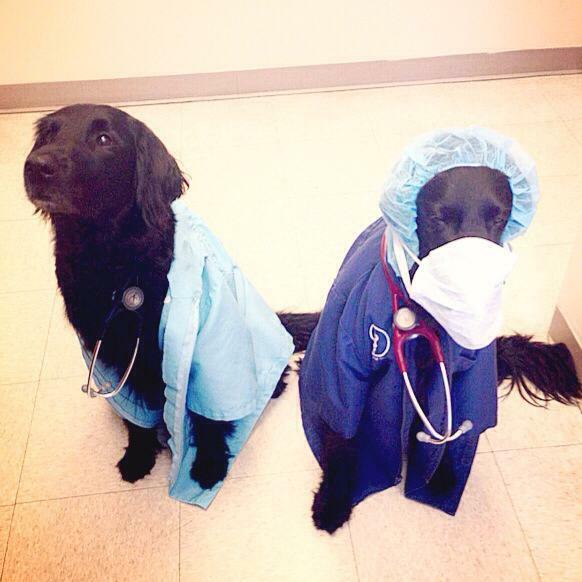 ​​While we provide excellent care for your pet, we are not able to provide 24-hour intensive care. For any surgical procedures which are likely to require this type of monitoring post-operatively, we will refer you to an appropriate veterinary specialty facility. ​​Orthopedic and other specialty procedures will be referred to the appropriate facilities to ensure top-notch care for your special pet. Clarksburg Animal Hospital is proud to provide surgeries for pets and owners in Clarksburg, Germantown, Boyds, Damascus, Urbana, Ijamsville, Monrovia and the surrounding areas.